SEO have been evolving over the year, and it is not necessary that what worked earlier may be working now. Some of the orthodox techniques that you might be using in your SEO efforts might be causing the traffic to fall down miserably. Backlinks used to be the most important factor in determining your rankings, however it is not necessarily the case right now and even the experts will agree to this. There are lots of instances on the search engines of some sites that only have a handful of links however they are outranking old authoritative sites. This is because they have more relevant and high-quality backlinks. The Penguin algorithm update has ensured that the relevancy of links is given more importance. When it comes to the promotion of your website, it is highly recommended to avoid quantity in link building and instead focus on building high quality links. Nowadays, Google is using the latent semantic indexing algorithm. It ensure that a particular keyword is seen in its several variations by Google and that all of them are considered for a particular keyword is entered by the user, so that the best result based on authority and relevancy is presented to them. Instead of just making the content rich with keywords, you need to write content that is user-friendly. While generating content, ensure that you put your users first and write something that is best for them. Google will figure out the terms that you should rank for and place you there. In addition to that, no one wants to see keyword-stuffing in the content. If the word “SEO” is mentioned 100 times inside the post, any one would get irritated with the content and go back to the SERP to check out your competitor’s content. That was the scenario about 3-4 years back. It was the time when even a website with thin content and tons of links with the keywords sprinkled here and there on the website used to have a good ranking on Google. However, in today’s digital age even social media is playing a huge role in the success of a website on search engines. The more popular your site on social media, you will get more attention to it, and the more people seeing it, will get you more backlinks. In addition to that social media is also a great way to send across your brand message to get some momentum. Some SEO agencies follow the practice of checking their rankings, however that practice has become quite old. Of course, in order to get better visibility, you need better rankings. However, it’s the age of long tail phrases. Instead of trying to rank your website for the major terms, which is getting difficult due to the Panda and Penguin update, try to convert from the long tail traffic. The best part about this is that you no longer have to track the rankings. Instead you need to incorporate these long tail keywords in your content marketing. There is a big misunderstanding in the SEO industry that higher rankings means more search traffic. People will definitely notice the listing, however it doesn’t necessarily get more click-through-rates. This is because the keywords that you will be targeting will not get more search volume for you. You could start using the Keyword Planner Tool by Google that will help you in finding the right keywords with lots of search volume. You need to optimize the meta descriptions and the title to ensure that they appear relevant on the SERPs and get more click-through-rates. 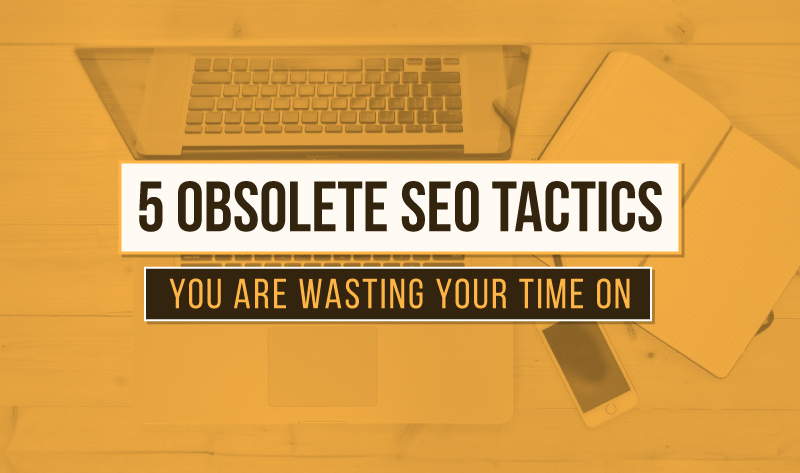 It is time you stopped wasting money on obsolete SEO tactics, and started focusing all your energies on the strategies (as illustrated in the infographic below) that will give your traffic a major boost. If you are following the solutions given in this post, you will start noticing a major increase in your traffic in the next 4 - 6 months. It is very simple and you simply need to keep into account the various algorithms to ensure that you are being relevant and high in quality. Daniel Clark is a blogger and works with Clickmatix, a social media marketing agency helping clients achieve their business goals through the help of expert SEO services provider.